ZEST Hotels, set to become a renowned budget hotel brand in Asia, offers business travellers and tourists a fresh and crisp experience with a refreshing twist. 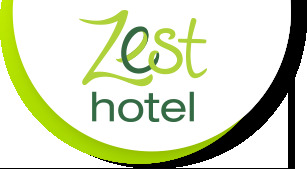 ZEST Hotels is an exciting new brand wholly owned by Swiss-Belhotel International through which we will offer a quality two-star hotel in a convenient location that focuses on the modern mobile market that books direct from their mobile phones or other portable devices. ZEST Hotels has properties in locations such as Jakarta, Yogyakarta, Batam, Bogor, Bandung, Surabaya and Legian in Bali.